36 “But about that day or hour no one knows, not even the angels in heaven, nor the Son, but only the Father. 37 As it was in the days of Noah, so it will be at the coming of the Son of Man. 38 For in the days before the flood, people were eating and drinking, marrying and giving in marriage, up to the day Noah entered the ark; 39 and they knew nothing about what would happen until the flood came and took them all away. That is how it will be at the coming of the Son of Man. 40 Two men will be in the field; one will be taken and the other left. 41 Two women will be grinding with a hand mill; one will be taken and the other left.42 “Therefore keep watch, because you do not know on what day your Lord will come. 43 But understand this: If the owner of the house had known at what time of night the thief was coming, he would have kept watch and would not have let his house be broken into. 44 So you also must be ready, because the Son of Man will come at an hour when you do not expect him. Today is the first Sunday in Advent. Advent is a season of preparation. In Advent, we thank God for Christ’s first coming, prepare for his final coming at the end of time, and celebrate Christ’s presence among us today through the Spirit. God loved and wanted to share that love. But, as we well know, the world that we live in is full of selfishness, violence, evil and fear. Much of us find that our hope for the future is shaded by the way that we understand the life that surrounds us. Many of us are fearful for the future. Our Christian faith reminds us that God chose to come here in human form and to walk the earth, to grow up, to live the truth, and to die. The only way to start such a thing is as a baby, and the only way to be a baby is to be born. Because Christmas is centered in the new hope brought by a baby, it’s a very child-oriented holiday. Because Advent leads us up to that baby, so Advent is preparing for the birth. Advent is a time to get ready by focusing on our own situation, our own struggles and our own failings. Advent is a time for personal transformation and preparing for the Christ Child. 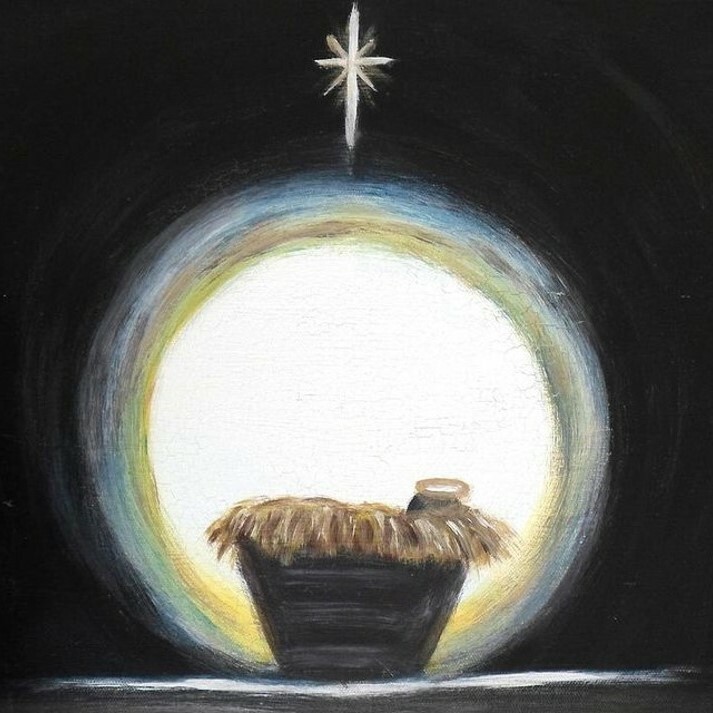 Advent is a time to get ready by rejoicing that our God is not far away and unfamiliar with the struggles of human life, that Christ is here right now among His followers, that God has already begun to bring in the Kingdom, and that Christ will come again to make it clear who He really is. That’s Advent. “Lo, I am with you, even unto the end of the age”, says Jesus. Some of this morning’s Scriptures are: 36 “But about that day or hour no one knows, not even the angels in heaven, nor the Son, but only the Father. 37 As it was in the days of Noah, so it will be at the coming of the Son of Man. 38 For in the days before the flood, people were eating and drinking, marrying and giving in marriage, up to the day Noah entered the ark; 39 and they knew nothing about what would happen until the flood came and took them all away. That is how it will be at the coming of the Son of Man. —-42 “Therefore keep watch, because you do not know on what day your Lord will come. 43 But understand this: If the owner of the house had known at what time of night the thief was coming, he would have kept watch and would not have let his house be broken into. 44 So you also must be ready, because the Son of Man will come at an hour when you do not expect him. We must be ready while we wait. Let’s check this out. Yesterday, I had a standing schedule to have our fireplace cleaned of the creosote build up from all the wood fires that we have had for the past several seasons. The technician was supposed to come between 9 and 12 and I waited and waited for him to come and was growing frustrated as time passed, and no one came. Finally, I received a phone call at 1PM saying he was on his way and would be here shortly. I was short with the caller – as my frustration was souring. Finally, I checked my calendar and found that the actual time he was supposed to come was between 1PM and 4PM. I was embarrassed with my shortness and apologized. Of course, this is unhelpful for people who are too busy already. If we knew more nearly when to expect the repair person, then we could work until we open the door. But things are rarely that precise (or convenient!) in the real world. If you know what I am talking about, then why do we expect the Realm of God to arrive in a scheduled, orderly, and predictable manner? Perhaps we have grown tired of waiting and have fallen back to our usual selves. Advent is a good time to remember that the God we worship in Jesus Christ holds all times in loving hands. This God also offers us grace for the day God gives us. As we begin this Advent Season, God invites us to live fully, trusting God to guide us daily. When we remember the coming of the service people to our home, we really think we have expectations and often because of their schedule seems to mean that our expectation is not to expect anything at all. Hence – un-expectation!!! Many of us are slaves to time, and time, like money, often dominates our lives. A noted religious writer, Sam Keen, once observed: “Wisdom is knowing what time it is in your life.” It is important for us to understand time and also what time it is right now for us. Time is a key Advent theme. There is a superb passage from Ecclesiastes that reminds us graphically and explicitly of this philosophical idea concept of time: To everything there is a season, and a time to every purpose under the heaven: A time to be born, and a time to die; a time to plant, and a time to pluck up that which is planted; A time to kill, and a time to heal; a time to break down, and a time to build up; A time to weep, and a time to laugh; a time to mourn, and a time to dance . . . (3:1-8). In Jesus’ day, as in ours, people were practically obsessed about the idea of the “end times.” When will it be and how will it come? Questions like these followed Jesus around as they do many modern pastors. We are a curious people: “When will the end come and how will it arrive?” Today’s lesson is part of Jesus’ answer to the disciple’s question. The text from Matthew reads, “When he was sitting on the Mount of Olives, the disciples came to him privately, saying, ‘Tell us, when will this be, and what will be the sign of your coming and of the end of the age?’ ” (Matthew 24:3). The disciples asked this question and often so do we. Therefore, we listen carefully for Jesus’ teaching on the matter. Note here that Jesus explicitly tells the disciples that “no one knows.” Not God’s angels and not even the Son—God alone knows. But even if we cannot know, nor the angels know, nor even the Son know God’s setting for the divine timetable, the time will come. But what does it mean to be ready? After the Resurrection, many disciples and early Christians were thinking that Jesus was going to come back in glory very soon. But more than 2000 years have passed. Do we passively wait for Jesus to come back or do we seek to live like Jesus has taught us – and not passively wait but to become fully engaged in this life? But what does faithful waiting look like? Faithful waiting entails no more, and no less, than to be disciples. Jesus wants us to be busy being about the things he has taught. Among these tasks is to certainly do as Jesus taught: “This is my commandment, that you love one another as I have loved you” (John 15:12). To be a disciple is to do what disciples do, whether or not we know how long God calls us to do this activity on behalf of God’s Realm. Here is an additional thought that helps to add clarity to what Jesus is saying in Matthew. Our scripture today comes from the 24th chapter of the Gospel of Matthew – right in the middle of a three-chapter block of Jesus’ teachings (chapters 23-25). Jesus concludes that block of teaching with a judgment scene, where He shows us what the last day will look like – and spells out some things that we can do to get ready. Some of you know the answer to that question – the question,” When did we see you sick, or in prison, and come to you?” Now that’s an important question, because the answer will give us an idea how to prepare for Jesus’ coming. Jesus said: ”Most certainly I tell you, inasmuch as you did it to one of the least of these my brothers, you did it to me” (25:40). In other words, if you fed someone who was hungry – or gave a cup of cold water to someone who was thirsty – or welcomed a stranger – or gave warm clothing to someone who was cold – or visited people in the hospital or in jail – then Jesus will credit you with having done those things for Him. It will be as if you had done those kindnesses for Jesus. Near the end of his life, a young man asked St. Francis of Assisi as he was weeding his garden what he would do if he found out that he was to soon die. His answer is instructive for all of us. He said, “I would continue to cultivate my garden. We can know something about what time it is, but we cannot know everything. That mysterious knowledge is for God alone, but we can know what time it is in our lives. We can know when to slow down and when to speed up. Do you know what time it is in your life and are you ready for the Messiah to arrive? This is our Advent question today—at this very time. This entry was posted in Sermons and tagged prophecy, readiness, watchfulness. Bookmark the permalink.